Looking for a good place to toss yee sang and host your Chinese New Year reunion or gathering? And you are in JB? October Japanese Cuisine recently launched their 2018 Chinese New Year celebration theme! Aptly called the: "REUNION". 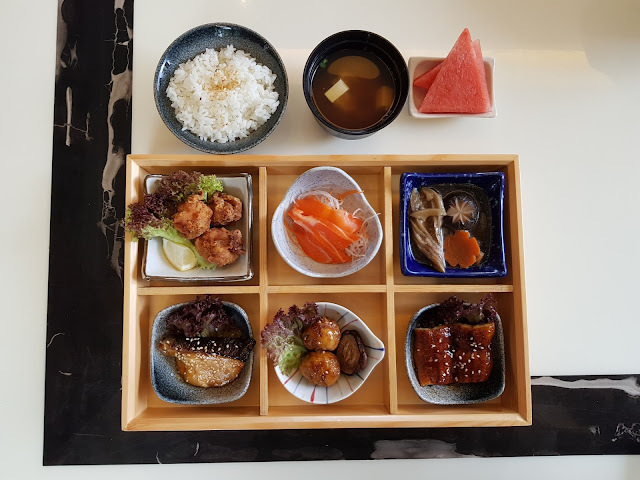 It is their Chinese New Year specialties crafted by the October Japanese Cuisine chef, 3 type of dishes crafted specially for their customers. We can't do without yee sang, can't we? It's a must and you should try the Prosperity “Yee Sang” Assorted Sashimi with Wasabi Sauce (spice up your taste buds a bit this year!). It has a varieties of deep water fish Sashimi – Norwegian Salmon, Maguro (Tuna) and Hamachi (Yellow Tail) as its highlight, harmoniously combining with colourful fresh luscious greens. To enhance the crunchiness and the crispness texture of the “Yee Sang”, we are using homemade fried Gyoza Skin and Roasted Almond Flakes. 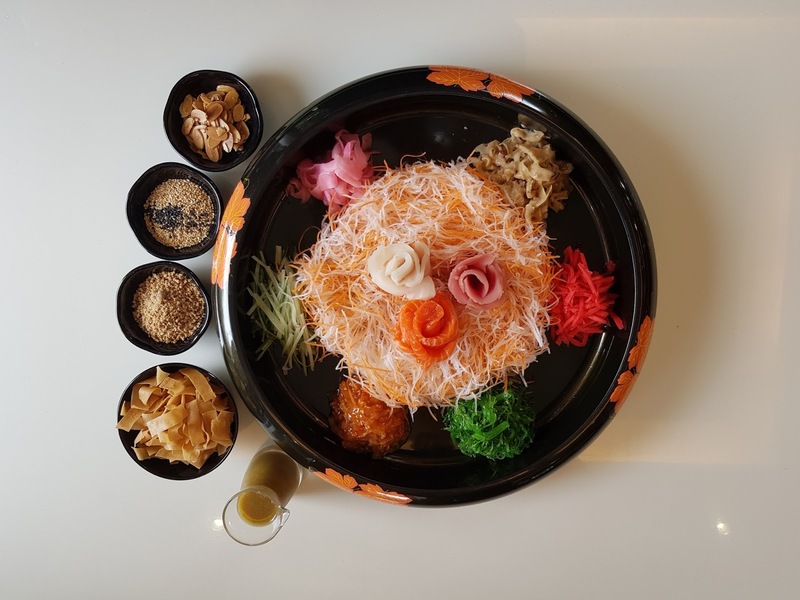 There's two choices of “Yee Sang” is available which is Wasabi Sauce and Sour Plum Sauce. Prosperity “Yee Sang” Assorted Sashimi with Wasabi Sauce price at RM108.00 nett (large) and RM68.00 nett (regular). 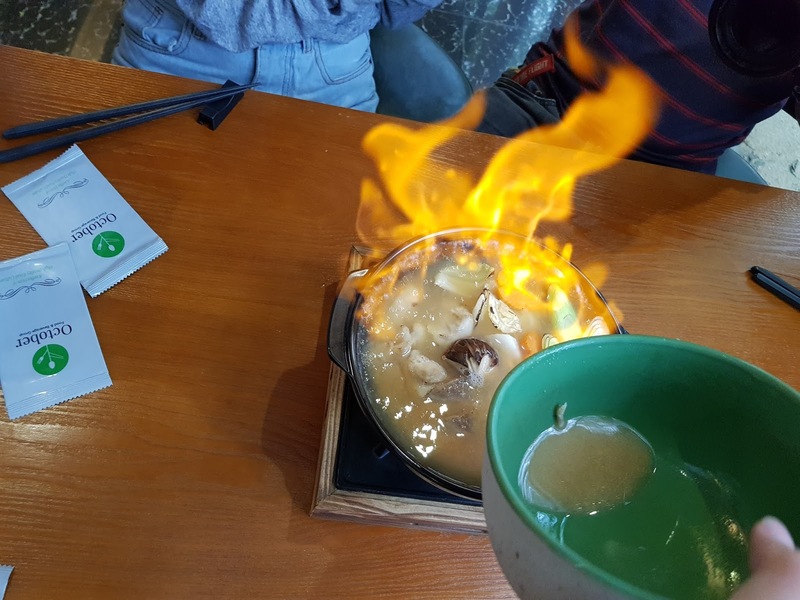 This is the Auspicious Flaming Nabe - seems like a must have for any Chinese New Year meal! 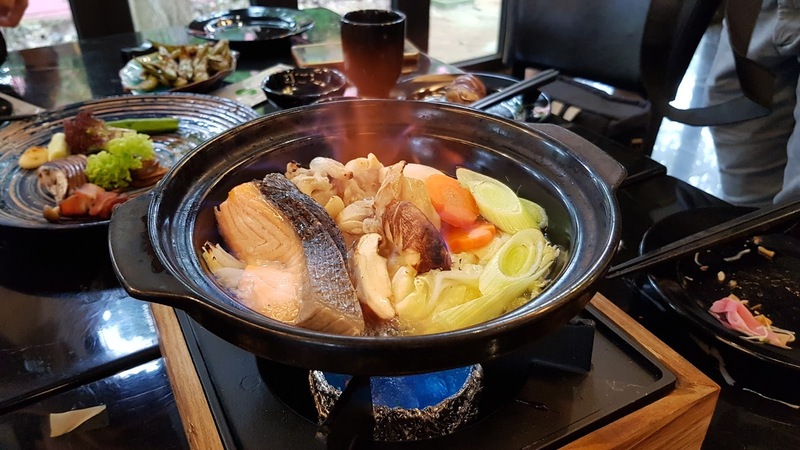 Auspicious Flaming Nabe consists of Norwegian Salmon and chicken, breast generously mixing in with Shiitake mushrooms, leeks and carrots. 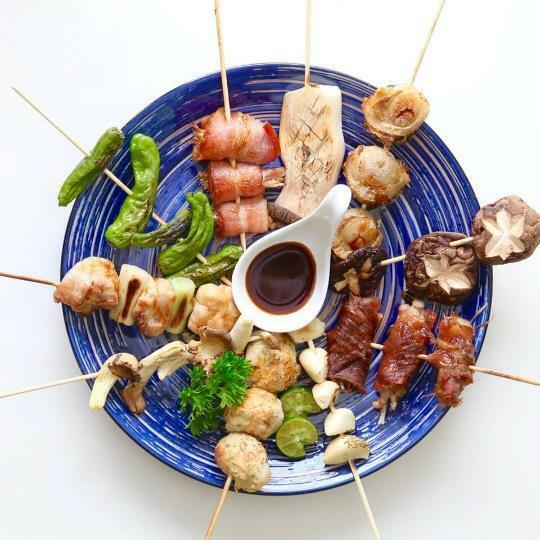 The soup base is mixed with “KaoLiang” Rice Wine, Japanese Sake and Miso Soup. The liquors will be let flaming on the top of the soup to enhance the aroma of the dish. 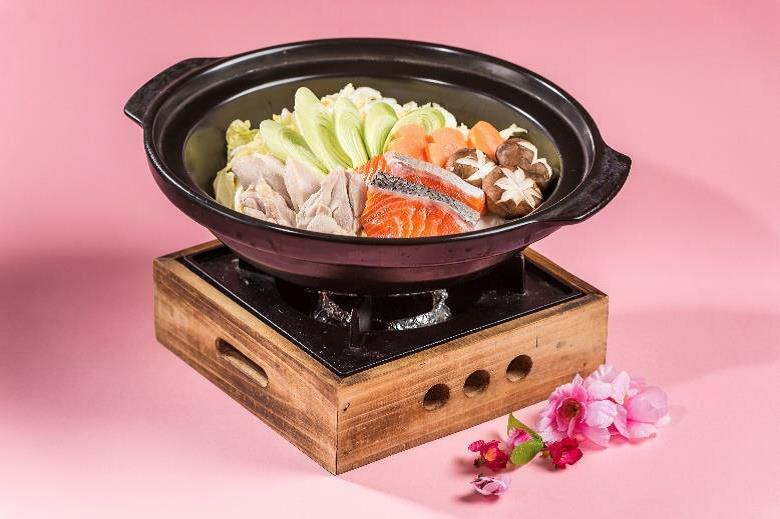 Auspicious Flaming Nabe price at RM68.80 nett. 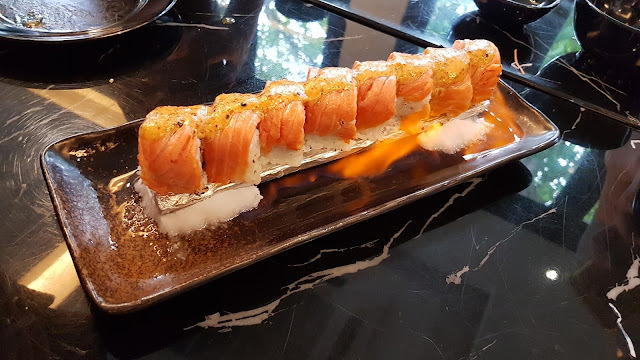 It's one of my favourite in this restaurant. The soup is heart warming! I had to show you what they mean by flaming.............. nabe. Just to proof a bit more on the flaming part. It's hard to say no to this! The Sushi and Sashimi Platter! 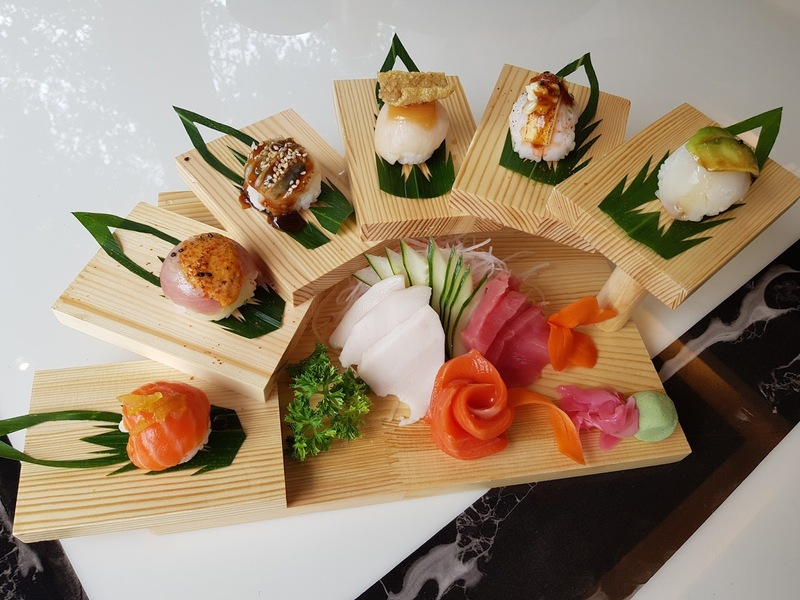 Meanwhile, the Fortune Sushi & Sashimi Platter has six different sushi with each artistically sculpted. The plate is filled with a wide selection of Sashimi - expect to have Maguro, Hamachi and Salmon, specially featured with Ikura (Salmon Roe) that helps to enhance the favour and experience. Fortune Sushi & Sashimi Platter is priced at RM58.80 nett. 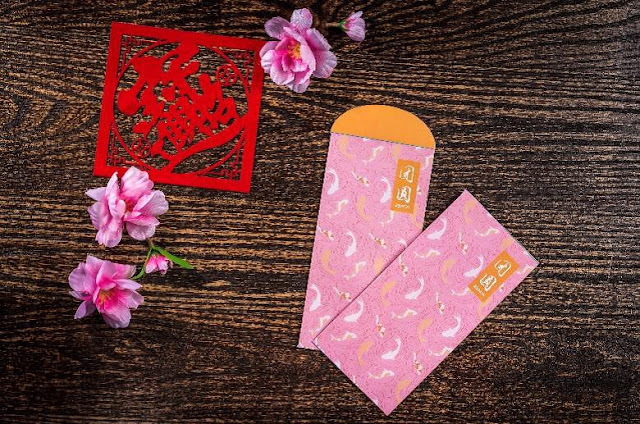 And with conjunction of this festive season, customer who spend RM88.00 and above will be entitled two packets of an exclusive October Group Angpao and a RM20.00 voucher. 6A, Jalan Persiaran Jaya Putra 1, Bandar Jaya Putra (JP Perdana) Johor Bahru. 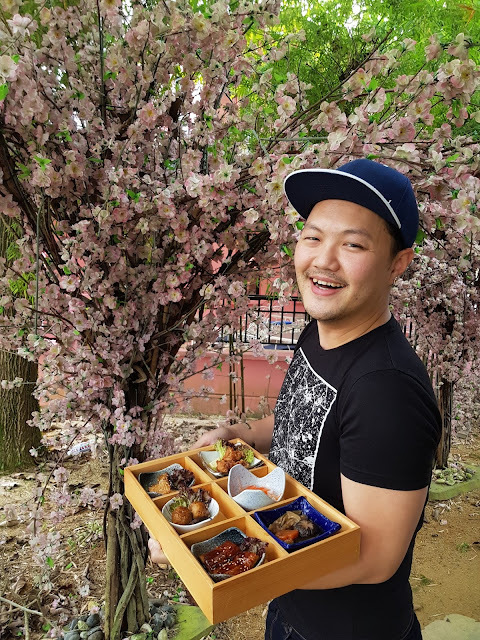 From 12 noon until 11:00 pm (open daily)Please note that their break time from Monday to Thursday is from 3pm until 5pm.All prices stipulated above are inclusive of 10% Service Charge and 6% GST. If you need to make queries or RSVP, do contact Julio at 03-3358 5353. One of the food that I am very satisfied is the October Special Bento is signature Bento Box emphasizing “the flavour of seasonal ingredients while respecting Japanese tradition. Price at RM59.90++. This is how it will look like on your table. 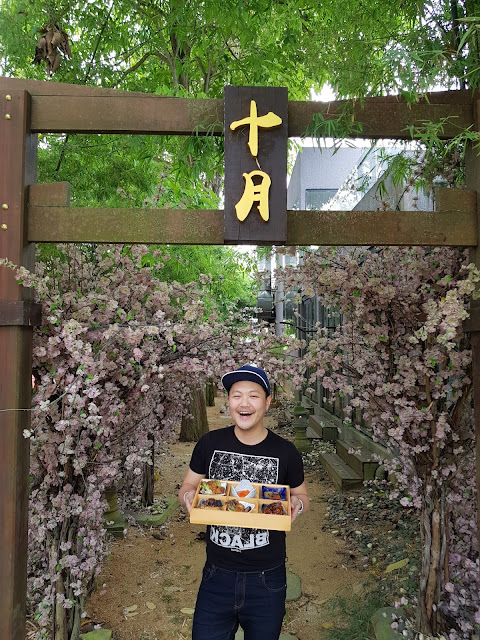 Perhaps by looking at my face, you know I am very happy with my bento. LOL! Hmmm, apparently SyCookies say take photo like that nicer. But I thought she is taking the pic of the food. LOL! The Kushiyaki Moriawase is an assortment of grilled skewers, from scallops to Shitake Mushroom, to Enoki Niku Yaki and other greeneries. Price at RM44.90++. I like the leek and lady fingers. 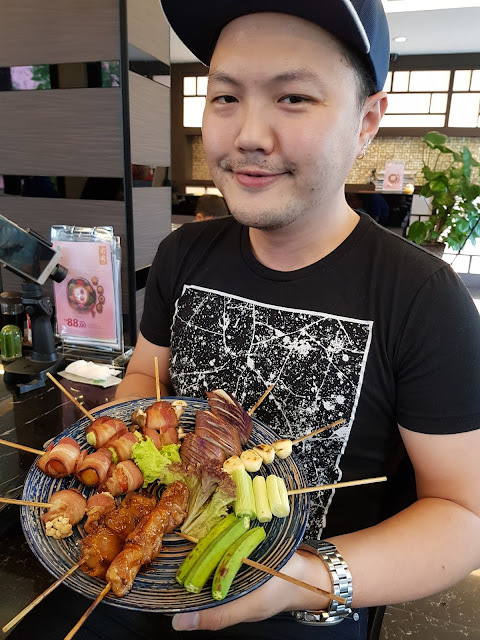 Mushrooms is perfect too! 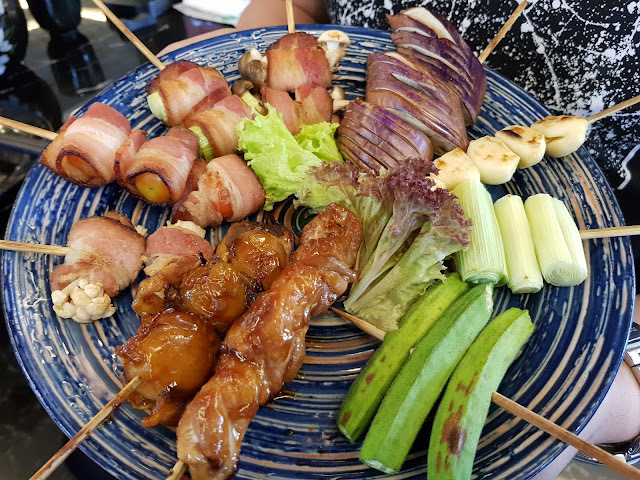 So head over to October Japanese Cuisine if you are up for something different this year!